Health researchers from the University of Southampton are to play a key role in an ambitious national project to scan the bones, hearts and brains of 100,000 middle-aged people. The £40 million UK Biobank imaging project, which launches today (Thursday), will provide new perspectives on the best way to prevent and treat multi-faceted conditions that tend to strike in mid to later life, such as arthritis, coronary heart disease, cancer, Alzheimer’s and osteoporosis. Bone expert, Nicholas Harvey, Professor of Rheumatology and Clinical Epidemiology at the Medical Research Council (MRC) Lifecourse Epidemiology Unit, University of Southampton, leads the musculoskeletal component of study. UK Biobank has already recruited 500,000 volunteer participants to create a world-leading health research resource, which includes information about participants’ health and wellbeing, their genetic data and links to medical records. It now proposes to scan one in five of them, to create the biggest scanning study ever undertaken, 10 times larger than any previous study. The scans obtained will comprise a dual-energy x-ray absorptiometry (DXA) assessment (yielding information on bone density, osteoarthritis and the amount of fat and muscle in the body), together with MRIs of the brain, heart and abdomen, and ultrasound examination of the major arteries of the neck. The combined information will help scientists understand why some people get particular diseases and others do not. Professor Harvey, and Professor Cyrus Cooper, Director of the MRC Lifecourse Epidemiology Unit, University of Southampton, who co-authored the musculoskeletal (DXA) component of the study, have been crucial in establishing the huge project, which is funded by the Medical Research Council (MRC), Wellcome Trust and the British Heart Foundation (BHF). 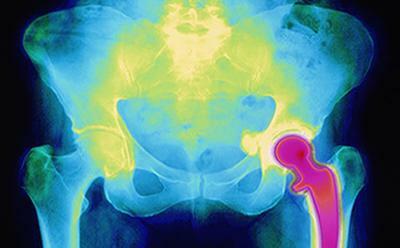 Professor Harvey hopes that the study will help to prevent the huge burden of broken bones resulting from osteoporosis (thinning of the bones), a significant public health issue that costs the UK economy more than £3 billion a year. “One in two women and one in five men over 50 years of age will suffer a broken bone due to osteoporosis, and this has major consequences for their quality of life,” said Professor Harvey. “It is critically important that we develop new ways to prevent and treat this devastating condition, and the UK Biobank imaging study will provide much needed opportunities for crucial future research. Imaging experts of the brain, heart, abdominal fat and carotid artery have also been involved in developing the study, which has recently successfully concluded the initial phase. UK Biobank participants were recruited across the UK. Imaging assessment centres will be located in Reading, Manchester and Newcastle upon Tyne. The research resource is open to all bona fide health scientists in the UK and overseas and was developed as a major contribution to improving the health of future generations.